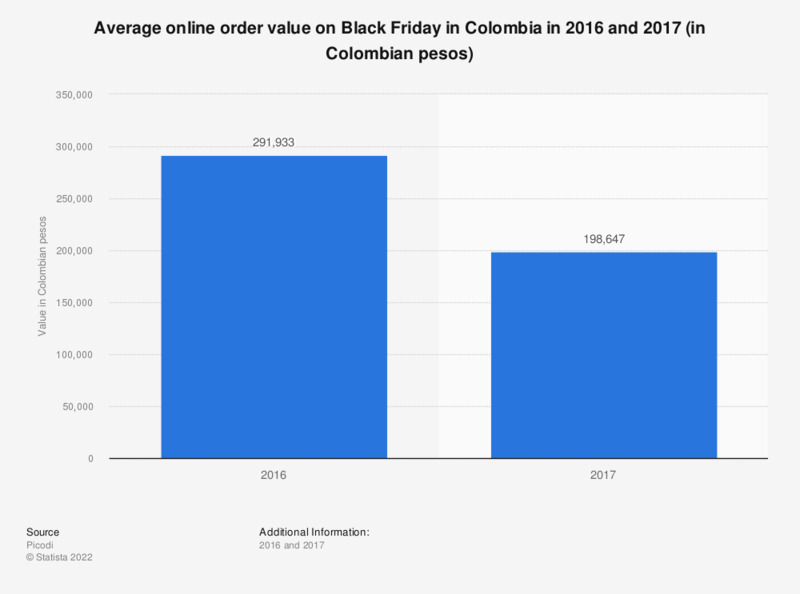 This statistic gives information on the average online order value registered on Black Friday in Colombia in 2016 and 2017. In 2017, the average online order value on this shopping event amounted to nearly 199 thousand Colombian pesos. Black Friday usually takes place during the last week of November. In 2017, Black Friday was on November 24. Everything On "E-commerce in Colombia" in One Document: Edited and Divided into Handy Chapters. Including Detailed References.